It is really a cool thing to see the Mumbai Police using the social media to connect with the society. Furthermore, they never leave a chance to punish the culprits. 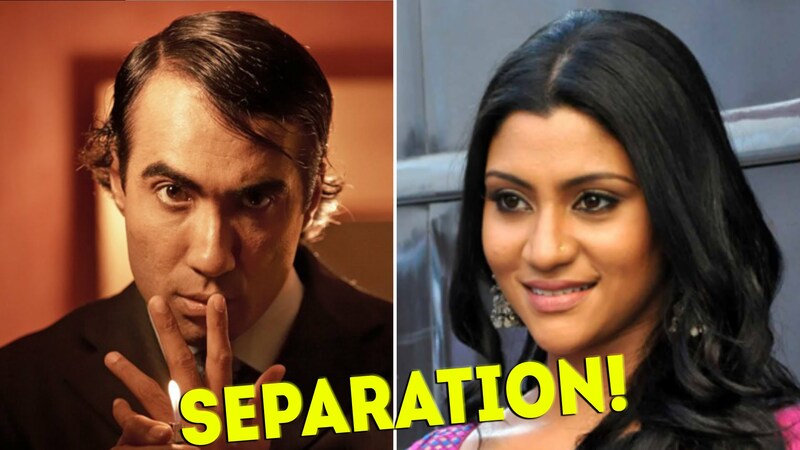 This time Varun Dhawan was on the receiving end of the punishment. The punishment was an E-Challan that was generated and delivered through social media. 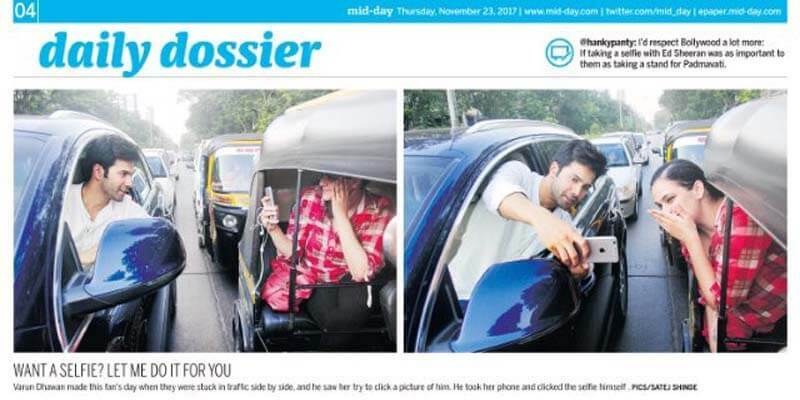 Varun Dhawan was seen clicking a selfie with his fan. The weird thing is that he is capturing the picture in the running car and his fan was in the auto. There is no doubt that this stunt is a stuff of the movies and it is quite dangerous in the reality. 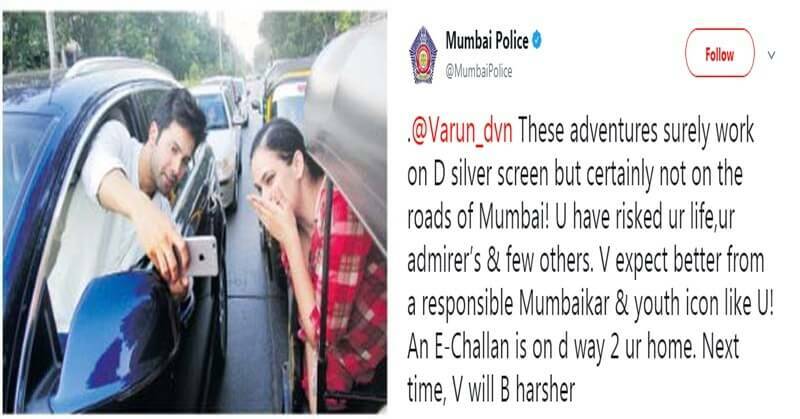 Mumbai Police take dig at Varun for abolishing the road safety rules and they send an E-Challan to Varun Dhawan. This is arguably the coolest thing done by the Mumbai police. They have proved that our safety is in the right hands. Wow.. kudos to @MumbaiPolice .. setting the example.. law is equal for all…. 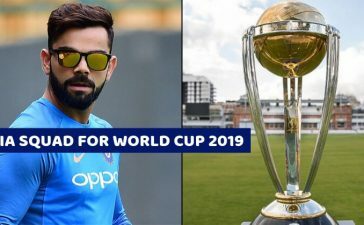 only one word – Respect ! Due to this strange yet amazing act of Mumbai Police, the twitter responded positively. They admired the work of Police. Please take penalty for Judwaa 2 too. Mumbai Police has stated that law is equal for all. What do you think about this one? Share in the comments. Mumbai Police helped a guy to save a 5 day old girl, check here.